Grey New York is debuting its first work for jewelry marketer Pandora in a Mother's Day effort that encourages consumers to think beyond the brand's signature charm bracelets. "The Art of You" campaign, which replaces the previous "Unforgettable Moments" pitch, showcases the company's range of rings, earrings and necklaces. 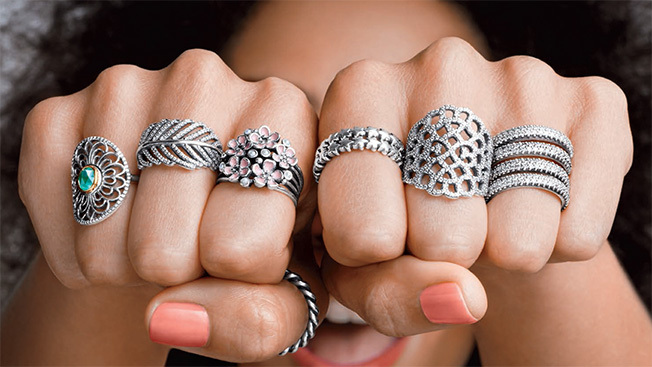 While Pandora's popular charm bracelets are on display in the ads, there is also new visual emphasis on the company's other sterling silver designs. "Pandora has deep ties to charm bracelets that memorialize times and people," explained Grey ecd Caitlin Ewing. "What's new here is we're taking that heritage and bringing it into the future, where it's also about self expression, 'the art of you.'" That heritage is underscored in a TV spot that includes three generations of female Pandora fans. (The new campaign uses actual mothers and young daughters.) In addition to TV, Grey's integrated North American pitch uses print, digital, public relations, social media and in-store efforts. The WPP agency won the business in January after a review involving corporate siblings Young & Rubicam and JWT. Copenhagen-based Pandora has generated buzz in recent weeks with a pre-Mother's Day video from Denmark's Malling Publications that's become a viral hit: With very little jewelry in sight, blindfolded children are asked to use their sense of touch to pick their moms out of a lineup.